Well! here we go again, Brutality is a death metal band that has decided to revive their career after the 2013, releasing two demos and an EP early in 2013 entitled "Ruins of Humans" under the label Ceremonial Records, but let's recap their history of this band, that dates back to 1987 when they officially began their career under their current moniker, they released their first demo called "Abomination" in 1988, then they released their second demo "Brutality" during the same year, which led them into the fanzine underground, the band's third demo "Dimension Demented" was recorded in 1990 and was later released as a 7 inch EP titled "Hell On Earth" by Gore Records in 1992. "Metamorphosis" recorded in 1991 was the band's fourth demo which had a worldwide distribution by Wild Rags Records. 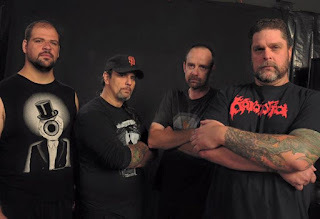 At this point the band made some lineup changes which made the band's sound even more brutal; they proceeded to record a demo to pursue a record deal. finally they signed with Nuclear Blast Records, in 1992 they released a 7 inch EP called "Sadistic" later on they recorded their debut album "Screams of Anguish" in 1993, by mid of 1994 a second album was released titled, "When the Sky Turns Black" their third album "In Mourning" was released in 1996, the band split up in 1997. 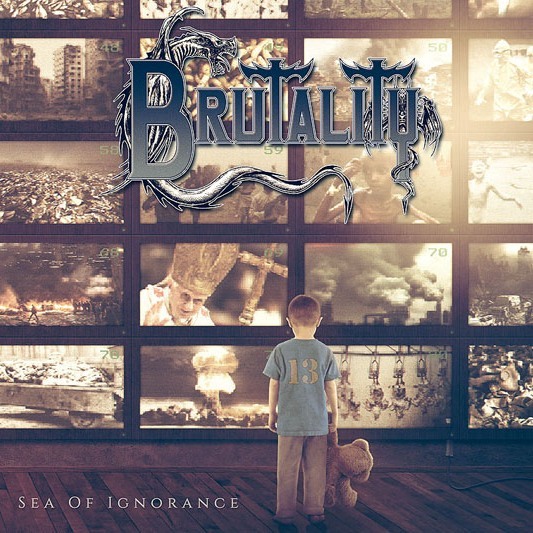 So today Brutality present us their fourth album "Sea of Ignorance" containing eight tracks with the same old school death metal from Florida, at some point seems like they picked up where they left, for some reason I don't understand, they are some of the most underrated death metal acts, their current lineup is formed by Jeff Acres (bass and backing vocals), Jay Fernandez (guitars), Scot Reigel (vocals) and Ruston Grosse (drums), the album begins with the homonymous album track fast, trepidant riff that shakes the ground, solid bass while the drums delivers endless and aggressive blast beats possessed by the double bass drum, "48 to 52" is the second track full of anger and contempt ceaseless drums doesn't allow you to take your breath back, "Fatal Cure" carries with itself a brutal rhythm riffing while the lead guitar performs an insane solo, "Tribute" approach with a different view adding some mid to slow paced, generating a well structured track of death and doom, "Perpetual Resolution" and "Barbarically Beheaded" fall into a generic death metal that doesn't move anything around, despite their expertise the sound is a bit dull, I will skip for a moment up to the last track "End of Days" articulated with solid tremolo picked rhythm and the most devastating guitar solo included in the album make this track an exceptional end, however I have to rewind and listen again, "Shores in Flames" for some reason Brutality decide to cover Quorthon and his epic song. But; As much as hear something is missing here, it might be me who exaggerates, but their interpretation falls short and does not do justice to the original track, It could have been a good idea to leave it for last as a bonus track and not interrupt the flow was carrying the album, but it's already done. Brutality is considered an influential band from the dawning of the Death Metal scene in the US, I think they could’ve done a better job on some of their music, is a good comeback to the scene but they still have things to sort out before to reclaim for their respect and a throne in the scene.